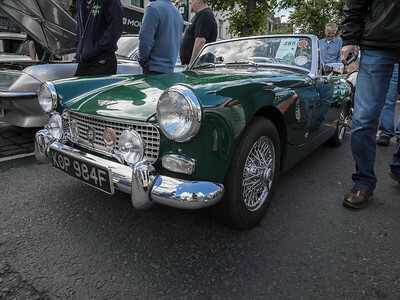 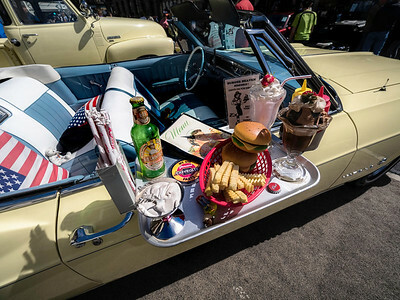 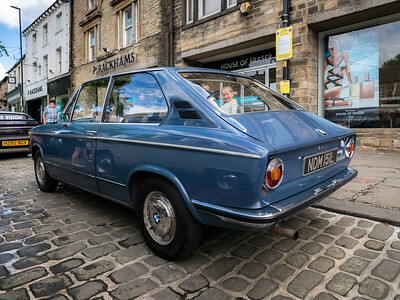 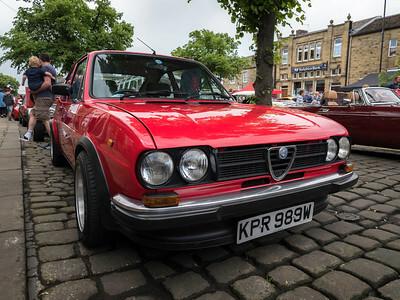 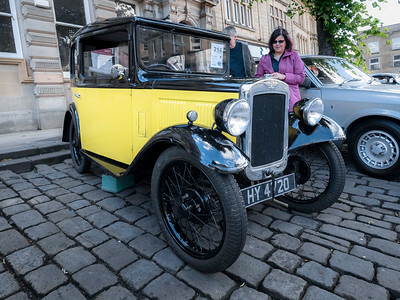 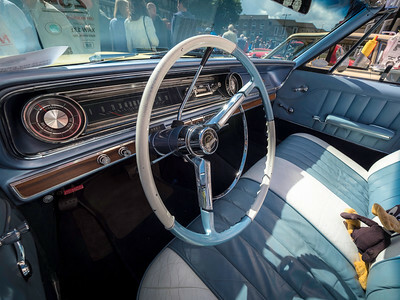 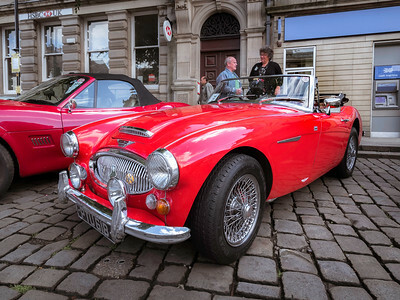 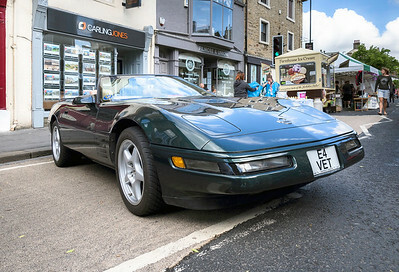 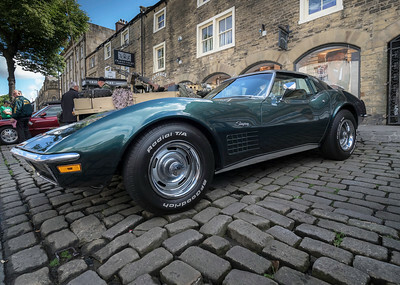 Skipton's third annual car show, held on its main market street. 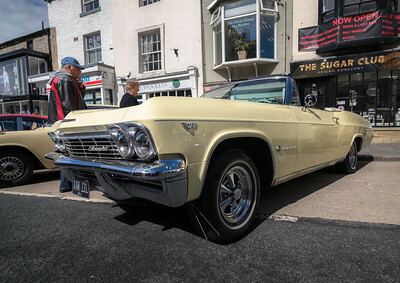 The street gets very congested and the cars are packed closely together so I just took along my 7–14mm (14–28 equiv) super-wide Olympus zoom lens. 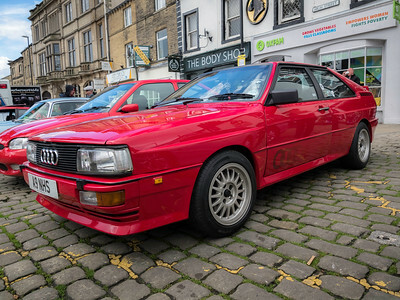 Or is it...? 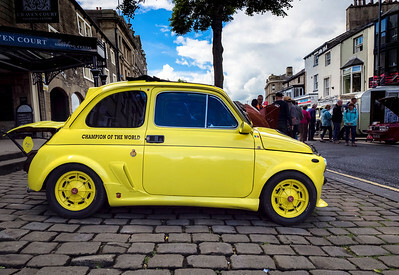 Engine is 650cc but it's listed as a 1968 Fiat 500L. 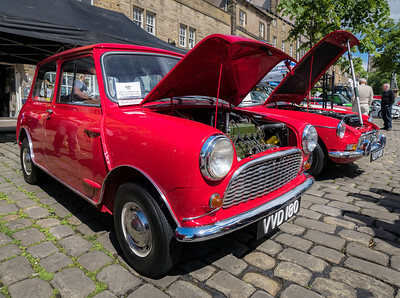 Officially, the Austin version of the Mini wasn't called the Mini until 1962. 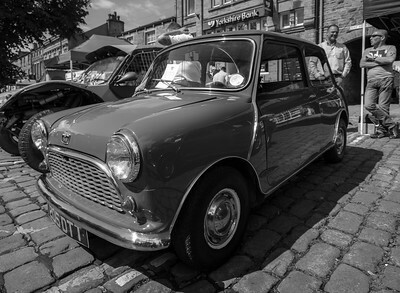 A Mini from the first year, when the Austin version was known as the 'Seven' and the Morris version the 'Mini Minor'. 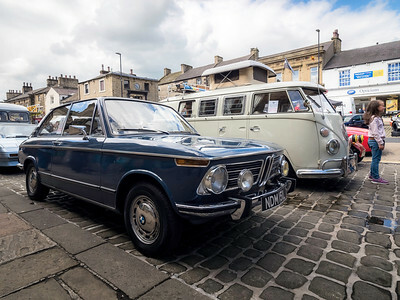 Very attractive hatch version of the more common two-door BMW is a rare sight.